Hit the slopes together during family weekends at Wisconsin's Granite Peak. ALL ABOARD Families hit the slopes together at Granite Peak. The problem with taking kids skiing is their nearly endless amount of energy. The problem with taking adults is sometimes they just want to sit the heck down. 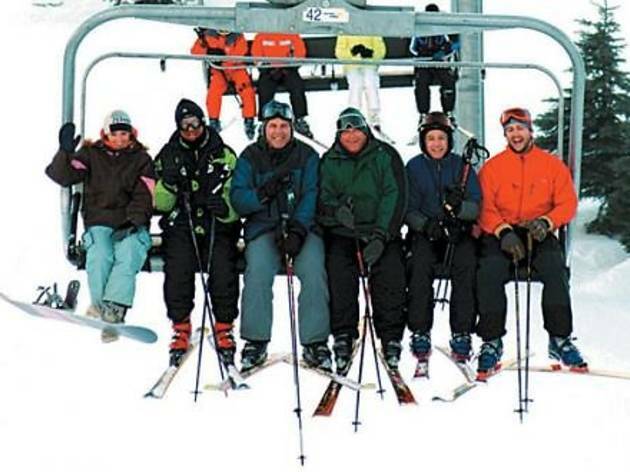 Granite Peak at Rib Mountain State Park (3605 N Mountain Rd, Wausau, WI, 715-845-2846) offers Family Festival Weekends that aim to split the difference with great skiing plus low-impact activities. The resort—about 280 miles from the Loop—hosts three family weekends every winter. Packages include lodging in a Wausau hotel, lift tickets, ski or snowboard rentals (hang on, the sitting-down part’s coming up), horse-drawn wagon rides, children’s entertainers, a brat cookout and a fireworks display. For a family of four, the cost is around $500, including tax. The 700-foot Granite Peak features 74 runs, more than closer Wisconsin standbys Cascade (36 runs) and Devil’s Head (28). Trails range from beginner to expert and include three mogul runs and five terrain parks for snowboarders. Two-hour or all-day lessons are offered by age group, beginning with the Teddy Bear program for three- to five-year-olds; prices start at $49. A Wonder Carpet conveyor even makes the ride up the hill fun for little kids, and a tow rope and dedicated chairlift for beginners ease them into the next steps. When it’s time to fuel up, head to Stone Hearth Eatery in the Historic Stone Chalet and the Sundance Chalet and Grill. Wausau itself boasts a historic downtown, Red Eye Microbrewery (612 Washington St, 715-843-7334), and gold-mine-themed family restaurant Wausau Mine Company (3904 W Stewart Ave, 715-845-7304). Logger's Landing Waterpark at Grand Lodge (805 Creske Ave, Rothschild, 800-659-2220), just south of Wausau, opens its indoor water park to the public Sundays at 2pm, rounding out a classic Wisconsin getaway. 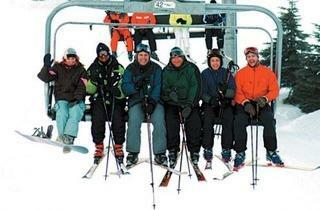 Granite Peak Family Fest Weekends are January 6–8, February 3–5 and March 9–11. See skigranitepeak.com for more information.